Taxi cabs were parked on Atlantic Avenue near the bus terminal at South Station. It has been 10 months since a city-commissioned review of the taxi industry called for creation of an advisory committee to respond to reports of corruption and poorly enforced regulations. Mayor Thomas M. Menino and successor Martin J. Walsh each vowed to follow through. But no committee has been established and little has changed. Those involved in the taxi industry — drivers, passengers, and even taxi medallion owners — say they are frustrated by the slow pace of promised reform. Walsh’s office is still working to cobble together a task force to look at the issues related to taxis and ride-sharing companies, an effort being managed by the Office of Intergovernmental Relations. But no members have been formally appointed, said Gabrielle Farrell, spokeswoman for the mayor’s office. “Once the committee is formalized, there will be a robust public process as part of a planned, multifaceted approach to addressing the issues and opportunities that exist within the industry,” Farrell said. In April 2013, the Globe reported that the city’s $1 billion taxi industry was plagued with corruption and lacking government oversight. 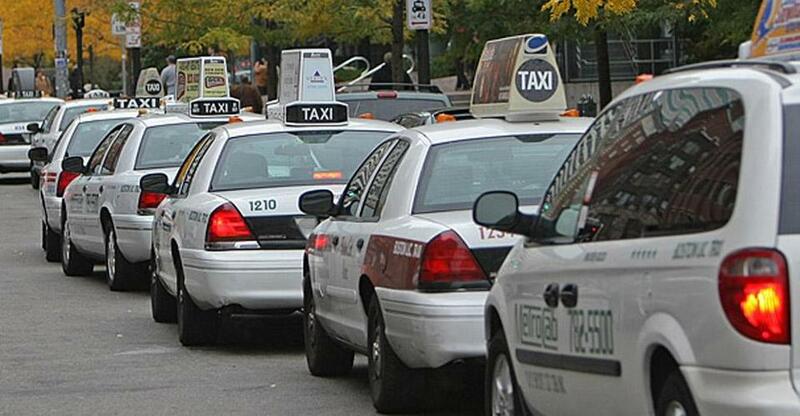 In Boston, each cab is assigned a medallion, one of a limited number of licenses valued at as much as $700,000 each. Drivers, considered independent contractors, must pay medallion owners a fee each time they drive the car for a shift. In exchange, they keep fares and tips. But according to Globe reports, some drivers were forced to pay bribes to receive the keys to a car. Others were saddled with mysterious charges by medallion owners that they had no power to dispute. And the Boston Police Department, tasked with enforcing city regulations, rarely imposed discipline on owners. Drivers had hoped that the establishment of an advisory committee would help end some of those abuses, but many are now skeptical that change will come anytime soon. Their frustrations also come as the taxi industry clamors for regulations on Uber, the controversial ride-sharing service that is taking a growing share of taxi drivers’ business. Donna Blythe-Shaw, a representative for the United Steelworkers and the Boston Taxi Drivers Association, said much of the hope for reform within the taxi industry has ebbed, in part because of the disruption of an election and the arrival of a new mayor. “We lost a lot of momentum,” Blythe-Shaw said. Paul F. Jean, spokesman for Tutunjian — owner of Boston Cab, the city’s most prominent medallion owner, and the target of many of the corruption allegations — said that even for owners, the last year and a half of inaction has put the industry in limbo, and that many owners are waiting for answers that would bring stability to an increasingly volatile industry. For them, the big concern is competition from Uber, and they’re looking to see a solution sooner rather than later. Rob Raimondi, another of the city’s most prominent medallion owners, said he has been surprised that a formal body had not been established to begin to grapple with the issues facing the industry. Last year a judge granted a request to freeze some of the assets of Edward J. Tutun-jian (above). Meanwhile, a raid at Tutunjian’s Boston Cab headquarters conducted by the Internal Revenue Service last year has not resulted in any charges. Neither the IRS nor the US district attorney’s office responded to requests for updates on the investigation. Though there has been little progress within city government, a lawsuit is moving through the courts. Liss-Riordan filed suit against Tutunjian on behalf of the taxi drivers, arguing that drivers should be classified as employees rather than contractors, entitling them to benefits and barring them from being forced to pay lease fees. Medallion owners disagree that most drivers want to be classified as employees, arguing that drivers are able to earn more money by paying a lease fee and keeping the revenue from fares and tips. But last year a judge granted a request to freeze some of Tutunjian’s assets, declaring that it was likely that the drivers’ lawsuit would ultimately be successful. Two months ago, an appeals court affirmed that opinion, repeating that it was probable the drivers would win their case and potentially be awarded millions in unpaid wages and benefits. During the mayoral campaign, Walsh vowed to change the city’s taxi regulations and add a clause that requires Boston taxi drivers to be classified with the state as employees — granting them labor rights. If the Supreme Judicial Court rules in favor of the drivers in Liss-Riordan’s lawsuit, Walsh may not have a choice. “It’s my fervent hope that when Mayor Walsh takes a close look at this, he’ll see that the reform that is needed is not just a superficial revamping around the edges — it’s a complete overhaul of the system,” Liss-Riordan said. Within the Boston Police Hackney Carriage Unit, the entity responsible for regulating taxis, a reshuffling in the leadership structure has led to heightened scrutiny of individuals seeking to purchase medallions. Reports surfaced last year that Tutunjian was trying to sell some of his medallions, but Jean said the taxi mogul is currently not pursuing any sales. Boston police Sergeant Michael McCarthy said the agency has been more stringent in assessing potential medallion owners. And it’s unclear whether people actually want to buy medallions right now, Blythe-Shaw said. With the wait for a commission to say whether, and how, the city’s taxi regulations might change, coupled with the growing competition, it’s hard to anticipate whether the purchase of a medallion would provide a good return on investment. • Graphic: How does a cabbie make money?